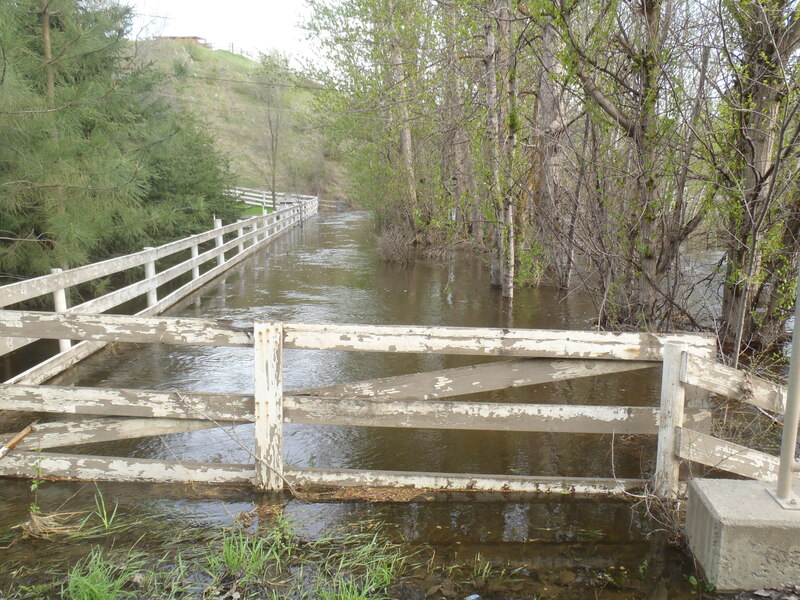 The City will close Barnhartvale Road tonight (May 5, 2018) at 8 p.m. as water from Campbell Creek has overtopped the road. The closure is in the 7200 block of Barnhartvale Road near Barnhartvale Hall. Traffic control is in place at both ends of the closure, and the City asks residents to avoid the area and detour on Blackwell Road. Sand and sandbags are available to residents at Barnhartvale Hall. They’re asked to bring their own shovels. For information on techniques for filling sandbags and creating sandbag dikes, visit www.kamloops.ca/floodpreparation. Meanwhie, an evacuation alert has been issued by the Thompson-Nicola Regional District in the vicinity of Mill Creek Road, specifically at 3885, 3889 and 4015 Mill Creek Road. An evacuation alert advises residents to prepared to evacuate if necessary. An evacuation order was issued earlier today for all units within the Guichon Creek mobile home park at 311, as well as 308 Merritt-Spences Bridge Highway 8. Residents there were advised to report to 1721 Coldwater Ave. in Merritt, across from the Elk’s Hall.